Work for MIP Fund Accounting? Learning about MIP Fund Accounting? "Good middle of the road software"
The system is pretty intuitive. Modules work the way you would expect, for the most part. We have experienced problems with ongoing support. We are assigned a sales/service rep who has not answered calls or e-mails for months. The help desk tries, and these folks are good. But their time is limited. We have had ongoing issues with the A/R module. The budget module is terrible - it is incredibly simple to wipe out work, just by hitting return. We have social enterprise departments which require hundreds of invoices to be sent each month. We have experienced a problem in AR that Abila is unable to correct. We also would benefit from a quoting module for our catering business, but that does not exist. As much as I'd like everything in one integrated system, that's not possible. The budgeting module is beyond clunky. Places where you would think you would find easy upload capability are missing - mass file changes, an easily uploaded budget, etc. We have implemented, or increased our functional use of a couple of the modules. We are trying to bring up budgeting and purchasing. I will have to figure out budgeting, purchasing will be later. "Help" in the system is not really helpful - no one writes help information in a way that I find useful. Has automated banking system which ensures tracking of cash flow, tracking feature also ensures easy monitoring of activities. It is faster and cheap which is an advantage to small and middle sized businesses. It is easy to share transactions and estimate approval due to the presence of client portal feature. Accounting reports are well organized hence it is secure. i prefer this software because it is user friendly. The only dislike is that creating and posting journal entry requires too many steps. This accounting software suits both large sized business as well as small and middle sized business. The best software that improves accounting system. Tracking cash flow has enabled us monitor all activities related to trasactions done. this has helped our business grow. accounting systems has also improved. I like its faster payment system, easy to monitor activities with the tracking features available. Automated banking ensure real time update on the cash flow, also has perfect accounting reports like balance sheet and cash flow statement. It is each hence favorable to small and middle sized business. Has the client portal feature which shares transactions and estimates approvals and it also has good invoicing feature. The only challenge is that you have to do transactions separately which might be tiresome. Accounting services have improved, the company has grown and the relationship with clients has been strengthened. "MIP has worked for years for us, but it is missing some advanced functionality"
MIP let's us track over 200 projects with separate accounts and even varying currencies all over the world simultaneously. We aren't able to track Cash Balances month to month or quarter to quarter while factoring in advanced things like Gain or Loss on Exchange rate in each period. Because of this, instead, we have to export all the data in our BI platform, create all these cash balances and calculate everything there instead. We've been using MIP for years, and we honestly haven't examined the competitor landscape recently. So, if we were picking a solution today, we'd probably really dig into what alternatives are out there right now. We manage over 200 projects around the world each with their own accounts and account managers to monitor budgets and spending. MIP allows us to organize all of this for each account manager without getting lost in all the data. it is flexible and easy to access. has improved accounting system in our organization and we believe that our clients are well served. "Easy to use, improves efficiencies for various accounting functions"
Very easy to run ad hoc analysis and drill down to detailed transactions and attached pdf documents. Easy to import journal entries and other transactions to facilitate input of large quantities of data. We used their payroll module for a few months and it was awful. Payroll is much different from other modules with all the regulatory requirements. Abila is trying to be all things to all people but this one doesn't work. The ability to speak on the phone with customer service is bad as well. While they're quick to respond to online chat, average phone wait times are 35-45 minutes. This is a great mid-sized non-profit solutions. In addition to regular financial reporting, it makes 990 reporting very easy. I highly recommend Abila MIP. As the CFO, I can quickly run ad hoc reports and drill down to detail to better understand what's happening behind the numbers. With the EFT module, our AP department has been able to double their workload with no increase in staff by making EFT payments to 90% of our vendors. Our outside auditors have their own access which allows them to work through the annual audit more efficiently, keeping their fees down. "Abila MIP Fund Accounting is not just a software, it is a tool. " I like the versatility of the product. Depending on the size of the business, Abila MIP Fund Accounting offers many different modules that service the needs of small, medium, and large size companies. You can purchase these modules at your own pace and Abila has many qualified workers that assist in helping your company decide what is the best way to build your accounting system. I dislike that certain segments cannot be altered in Abila MIP Fund Accounting once a database has been created. For example, if your company was previously setup by an accountant who used only a three digit fund code when creating the database, you will always be limited to the decision of that accountant for that database. Only creating a new database will allow you to add a fourth digit. However, just like any other problem that I may have experienced with Abila MIP Fund Accounting, the problem can be fixed and Abila is there to help. There are sometimes third parties involved with marketing Abila products. I prefer speaking directly with Abila. The current goal within my department for my company is the improvement of the accounting period close and the streamlining of data entry. Originally, my company would produce financials manually in excel by cutting and pasting. By purchasing Abila MIP Fund Accounting Drillpoint module, I was able to link my accounting system directly to excel reducing my financial statement preparation time from four hours to fifteen minutes. Also, Abila offers many training classes that enabled me to better understand the importing and exporting of data into the accounting system. My company is importing and exporting more and more data every month which is increasing accuracy and timeliness within the department. "Abila MIP provided the financial visibility our board has been demanding for years. " The software features a table driven chart of account that enables organizations like us to design our account segmentation so we can track our financials in multiple dimensions. It has a great deal of security features and options to assist in the segregation of duties, which can be difficult for smaller organizations like us. It's user interface is very intuitive and has a lot of safeguards to prevent data entry errors. You also only have to purchase the modules you need so it fit my budget too. I wish the reporting module had more modifications. 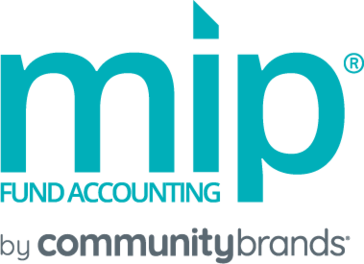 If you are working in nonprofit accounting you should absolutely make the switch to Abila MIP. There is nothing else out there for the nonprofit CFO like this. Every stakeholder has been satisfied by our switch from our board to our accountants. We had a problem constructing a detailed budget and then tracking it by our programs, this led to inaccurate forecasting and deficits. After implementing Abila MIP we gained a tremendous amount of visibility and were able to hold ourselves more accountable. The investment in Abila MIP came back tenfold. In the first year alone we reduced our audit fees more than 30% and cut the budget deficit in half. The scheduler is not a standard issue and make it time consuming to run periodic reports. I am able to maintain different funds, and produce I individual reports. Abila allows users to create reports to meet reporting demands. In my line specifically, grant accounting, deals with a number of different and complex grant that require different types of styles of reporting. With Abila, I am able to rearrange the report to tailor to the requirements of the report. Another bonus, is that you can save the different templates. Abila is not the most user friendly accounting tool I've seen, the platform is rudimentary. It desperately needs a face lift and aesthetics works. Very easy to navigate and the online chat support is the best feature. Also the customer support via phone is very helpful when you have techical issues that you can't solve via chat. Really there isn't a whole lot that I can say I dislike. MIP is by far the easiest software I've used in Accounting so far. Easy to use and support is awesome! Online chat support and support via report telephone are awesome! Voiding invoices and checks are easy through MIP. "Mid Size Non-profit LOVES Abila MIP"
We love that the software allows us to have multiple revenue sources. Our agency has more than 40 funding sources and Abila makes it seamless. The reporting feature and reconciliation make it easy to give our managers the information they need to run their programs. Not many nonprofits in our area use Abila making it hard to find staff who have been previously trained in the software. However, we have our first Finance Assistant and we are training our first employee to use the software in addition to our Finance Director. Both the Finance Director and new assistant have found it easy to train in the software. We recommend Abila MIP to any nonprofit who wants to do their finance in-house. We have found it to be one of the best investments for our agency. Although it is expensive, we feel the help we get, the ease of use and the features in the software have taken our agency from a small "mom and pop shop" to a professional and dynamic agency able to manage our money with ease. We use Abila MIP as our primary accounting software. We love that we can have multiple revenue sources and have an easy time navigating the system. The system generates excellent reports, we have excellent help from the company when needed and many advantages for training. We have recently added the HR software add on which has taken us from a paper system to a data base for employee information. We currently run a $1.4 million budget - we love Abila MIP. 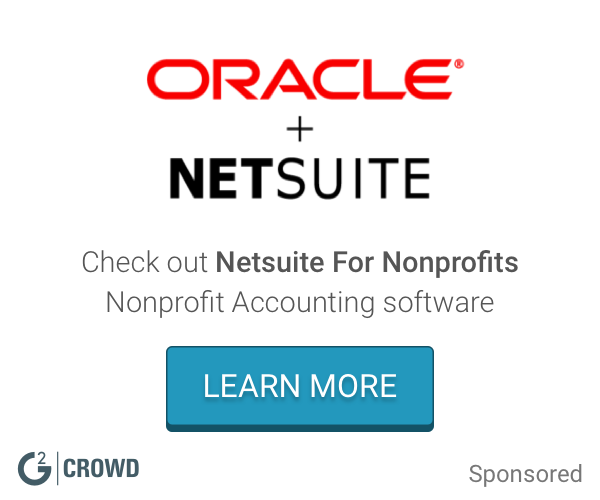 "Outsourced CFO for Nonprofit Organizations"
The GL segments and Distribution Codes make allocations very easy to maintain and track, which is especially helpful and efficient. The Financial Statement formats do not have enough options for customization for titles, column headers and formulas. If this area could be improved, there would not be a need to export financial reports to an excel spreadsheet to complete preferred formatting. Also, do not like the way the figures in the number columns do not line up with the GL description lines. Always include training when preparing a cost estimate or budget item for the Abila MIP Fund Accounting system. Using this system correctly and understanding how everything works is the key to a successful implementation and improvement in completing all accounting duties. I work as an outsourced CFO / Consultant to various nonprofit organizations and usually have a variety of financial reports, including budgets to format or prepare for them. I always try to recommend the Abila MIP Fund Accounting system for organizations that need the grants management functionality. Also am involved with training accounting staff, and designing and implementing accounting procedures and policies. MIP is flexible enough so that both our accountant and me (a non-accountant) can both get the functionally we need. I find the Accounts Payable module very simple to use, so the process from entering an invoice to printing the check is quick and efficient. Unlike other Abila products (like FR50), I found it slightly harder to learn. I also wish the reports had more modifications. Importing data requires a definition file, which is not intuitive to modify. It takes trial and error, but once it is in place it works great. "Improved interface but still clunky"
The interface has been updated but I still feel that this is an outdated looking app and not very user friendly There is a steep learning curve. Monthly reports, annual reports to funders. I no longer have to keep a separate set of books manually! "Using Abila MIP Has Been Easy to Obtain Information Our Company Needs"
I like best the ability to create ad hoc reports to filter and set criteria in order to obtain desired information in reports. Easy to view information via screen view, and the print to Excel and pdf options are so valuable. I do not like that I was unable to track the hundreds of grants that my company issues to subawardees in Abila MIP. We had to find a workaround using the budgeting module in an attempt to track the subawards grant amounts and their payments and remaining balances. It is not the ideal setup. Would love to see Abila MIP set up a module specific to tracking voluminous awards to our subgrantees. I recommend Abila MIP for ease of use, user-friendly solution, and ability to create and customize adhoc reports. You can track expenses by funding source just by setting up unique grant codes or unit codes in Abila MIP. A optimal choice for nonprofits. Benefits realized include solving the problem of how to track expenses by different funding source. We are also beginning to use the software for cost pools and distributions to meet our indirect cost rate requirements. Recently, we have begun to explore the process of implementing use of the purchasing and AR billing modules. I am excited about this prospect as I have read the details of what Abila MIP offers in these two modules and am ready to use these electronic solutions for our company so that we can get away from the paper, Excel solutions we've used for so long. Too many steps to create and post a journal entry. Need to improve forecasting, AP automation, and the dashboard. It is a full service accounting package where you can add specialized modules. "This is the most user unfriendly accounting software I have EVER used!" This software makes my job MUCH more difficult!!!!!!!!!! "serviceable, but not my favorite"
"MIP over the decades. " I like that the underlying accounting is transparent and I like the versatility of the account structure. That one can't add a description when entering a recurring entry. One has to process the recurring entry and then open it under transactions to add the description. I took over a NFP using Quickbooks and while the data entry in Quickbooks is easy, getting NFP reports out is very time consuming and manual. I took them into MIP, was able to set up standard monthly and annual reports which freed me to spend my time on more value added activities. Nothing, this is terrible software, it makes my job difficult. The difficulty in correcting mistakes, it is nearly impossible. "Who would have thought we were going to need all these bells and whistles!" Its ability to set up multiple funding streams meeting state and federal requirements. Also the additional modules you can acquire. At first I thought it was too complex with lots of bells and whistles. We are meeting federal requirements, helping with our audit, and managing our state's grants while their in a crisis. I like that there is so much that you are able to do with this module. Everything from payroll to bank statements. I don't like that it sometimes miscalculates, and it has to be double checked for errors. It is easy to post payments and receivables into the software. It has made doing payroll much quicker and more efficient. Not user friendly in regards to an HR professional. Have to search for reports. visit the live training when possible so that you can get your questions resolved on site. Responsive, knowledgeable customer support. Intuitive user interface. Frequent changes in ownership. Abila is the fourth owner of this application since we began using it in 2004. It is the accounting system for our nonprofit. As a United Way, we have more complex accounting requirements than other nonprofits given our business model. Versatile enough to accommodate the various allocations and reporting methods required for our entity. The license is restricted to use for five or less companies. Able to report in a variety of ways, as requested by management. I like the ease of use of MIP. It is very intuitive and easy to learn. The reports function proves to be a bit daunting at times. Once you have specialized reports created, the day to day functions are much simpler. Information is easy to find and categories are well sorted. Object codes should have better descriptions. Helps stay within budget for multiple departments. I like the cloud hosted and customization aspects. the reporting is good. * We monitor all MIP Fund Accounting reviews to prevent fraudulent reviews and keep review quality high. We do not post reviews by company employees or direct competitors. Validated reviews require the user to submit a screenshot of the product containing their user ID, in order to verify a user is an actual user of the product. Hi there! Are you looking to implement a solution like MIP Fund Accounting?